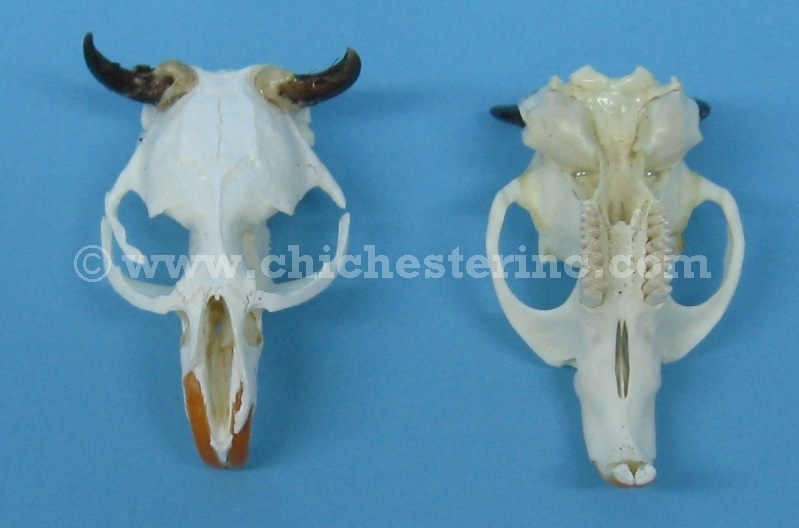 These mini "buffalo" skulls are made with a muskrat cranium and coyote claws as the horns. These can be made into necklaces. They are approximately 2.5" long, 1.5" wide, and weigh 0.3 oz. Muskrat genus and species: Ondatra zibethicus. Wild. 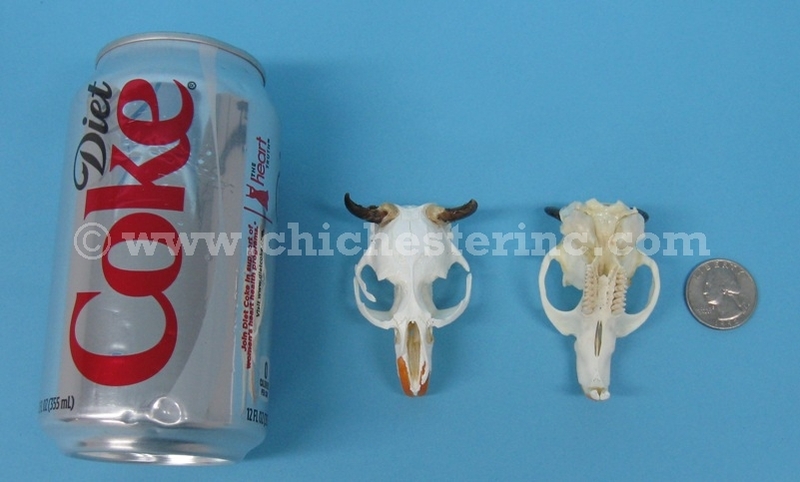 Coyote genus and species: Canis latrans. Wild. Muskrat and coyote are not an endangered species and are not subject to CITES controls.